The dust has finally settled. 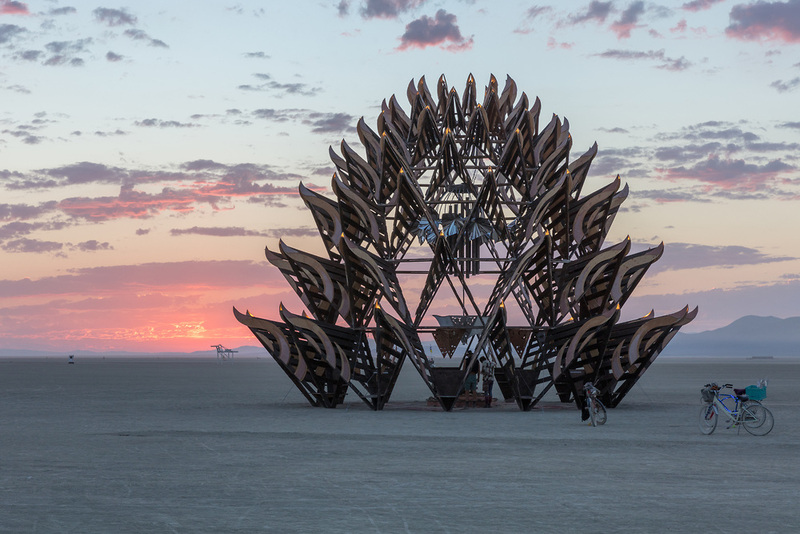 The temporary metropolis of Black Rock City which just a few weeks ago was alive with the art, camps, and energy of 70,000 burners has returned to its dormant state of being simply the Black Rock Desert. It has been a month since the last citizen of Black Rock City left the playa to return to the default world. In that time, it seems people have slowly gotten back into the groove of everyday life and, as usual, are facing decompression. 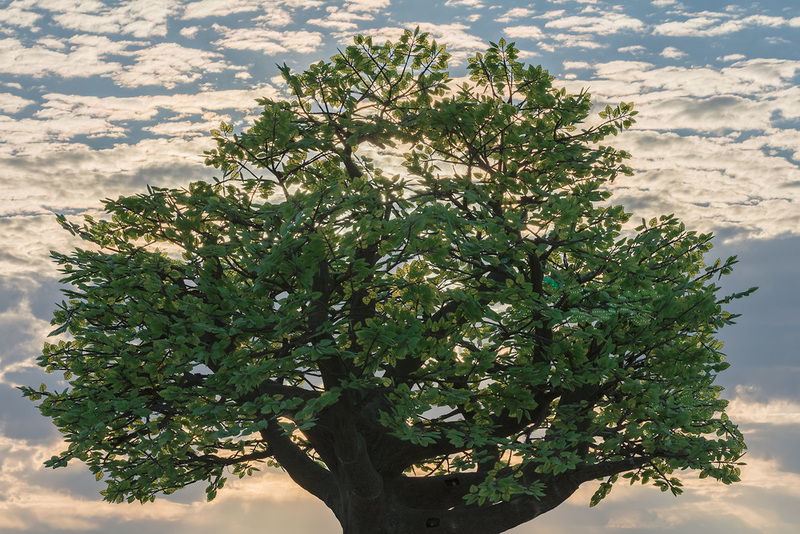 Decompression is learning how to ease yourself back into society after the “big event” you just experienced, which comes easier to some than others. It’s difficult to radically change your lifestyle for a week, experience some of the craziest highs and lows, and right when you finally get adjusted to that lifestyle be catapulted back into the real world. It’s a problem that plagues both virgin and veteran burners alike, and I am no exception. What I’ve found that helps me, as cliche as it may sound, is taking what you experienced out on the playa and applying it to real life. 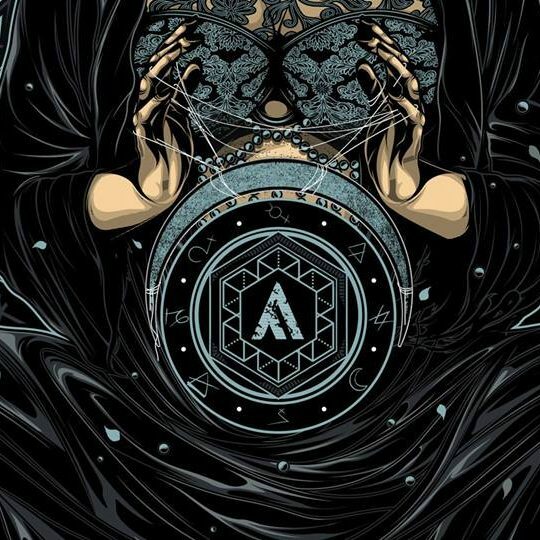 But decompression really only lasts until preparations for next year begin – which means, the earlier you start planning, the earlier your decompression from this year can end and the excitement for next year can begin. Burning Man 2017 was my third consecutive burn, and just like every year, this year was no stranger to struggles, obstacles, and frustration. And, just like every year, this year was also full of endless laughter and love, non-stop adventure and wonder, transformative experiences, beautiful sunrises and sunsets, out-of-this-world art, gorgeous people inside and out, and so much more. We camped with a huge group of friends at Mimosa Sunrise this year, located at 8:30 & Genuflect. As we rolled up to our campsite at around 6/6:30 am, our camp was already hard at work serving mimosas to all the sunrise warriors already out and partying during our first sunrise of the week. Our original plan was to take a nap, but that quickly turned into taking our first morning ride around the playa, to see some of the art as it was still being built, and to get our first lay of the land. We stopped by a few pieces and made sure to stop by the Man, which you could actually walk up and get close to this year. After some more exploring followed by some spontaneous pickle-back shots and spankings (2 separate types of camps we stumbled upon), it was time to go back to camp and get ready for what the day had to offer. 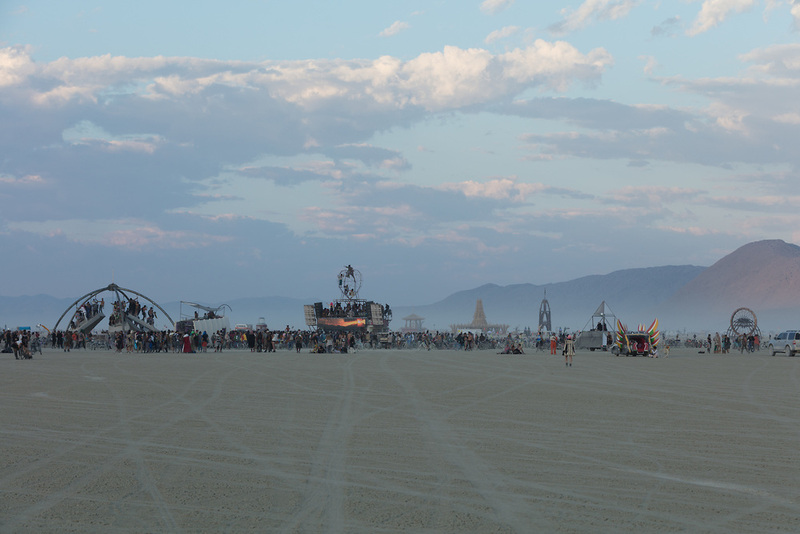 Monday of Burning Man was the perfect way to kick off our week. After those sunrise adventures, we headed to an all Madonna-themed party to get down to some our favorite classic tracks, and where you could also skip the long bar line by flashing the bartenders. After that, we rode down the street to one of our favorite day time parties, Distrikt. 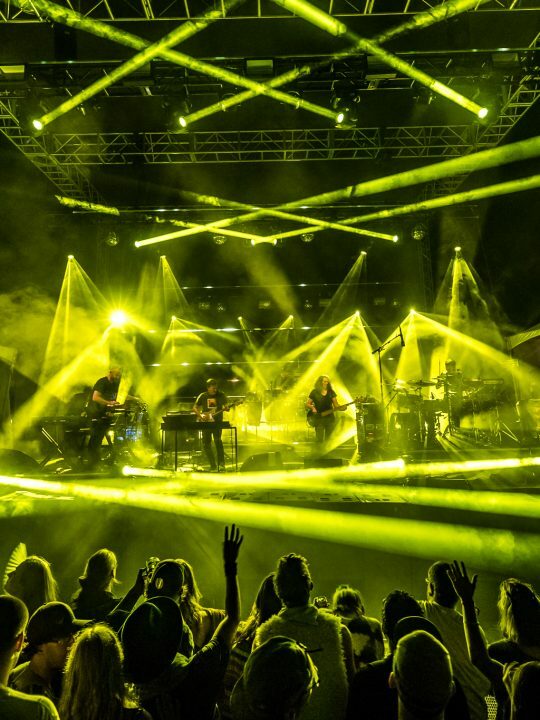 They debuted a new stage design this year, and that, along with the bumping music, the electric atmosphere, and the delicious blended drinks made for a spectacular Monday afternoon. After some more daytime exploring, we headed back to camp to change for my favorite transition to watch – the transition from day to night at Burning Man. It begins with the sunset, golden hour on the playa – where everything and everyone turns to a different shade of gold and the sky explodes with a thousand different hues of red, orange, pink, and purple, and then ultimately fades into the black of night. And once that happens, Black Rock City truly comes alive, as every burner, art piece, structure, art car, and mutant vehicle begins to glow with a million different forms of light. If you’re not lit up at night at Burning Man, you are considered a “darkwad”, which is meant to be a derogatory term. The playa can get pitch black at night, and if you’re not lit up, you are a danger to yourself and everyone around you. Once we were all changed, we made our way to the Christina, a yacht-turned-art-car for a night time ride around the playa. We locked up our bikes, climbed aboard, and were able to see the playa from new heights as the Christina cruised around art piece to art piece. My night ended somewhat early that night because I like to get as much sleep as I can in the beginning of the week so I can have even more energy to power through every single night at the end of the week. 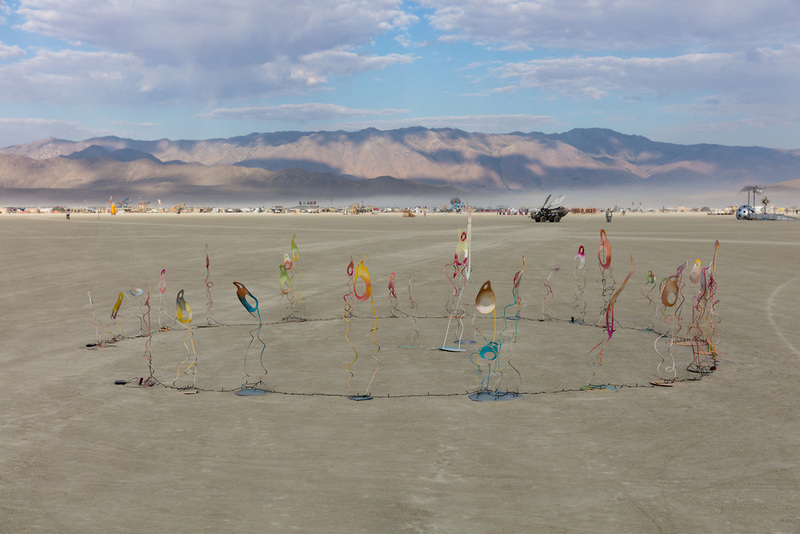 We spent most of our Tuesday exploring the playa, experiencing as much art as we could. Tuesday was the day a huge dust storm completely enveloped the playa, leaving us with zero visibility for a good 10 minutes. Once the sun set Tuesday night we headed to Pile Palace for some Desert Hearts love, and then to Camp Walter for one of our favorite traditions, the pink party. Another somewhat early night for me, and when I woke up Wednesday, I scoured my events book to see what was happening that morning. Turns out, a french toast brunch was underway right down the street, so I biked my way over to get some delicious sweet treats. I also happened to pass a “naked bacon” stand, where all you had to do to get some bacon….was get naked! Spontaneity at its finest. It was easy enough, especially since as the week progressed, the days got hotter. Afterwards, I met up with my friends and we headed to Pink Mammoth to dance the day away. As night approached, we realized it was White Wednesday, so we threw on our freshest white outfits and made our way to Carl Cox’s camp Playground for the annual White Party. We danced there for hours, encaptured by the man himself, Carl Cox. Before we knew it, it was 5 am and we were heading back to camp to grab some sunrise supplies. Biking around the playa at this time in the morning is my favorite, because of how serene it is. As the morning colors of the sunrise bleed into the nighttime sky to create dawn, the playa seems to become more calm and tranquil. 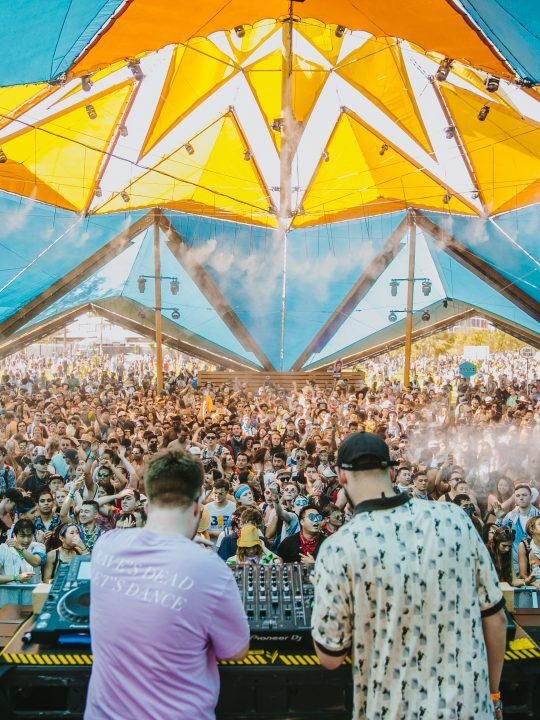 This atmosphere is only amplified by this morning’s sunrise sets – Tycho at Dusty Rhino and a live Bob Moses set at Robot Heart, both art cars that are found in deep playa during sunrise. 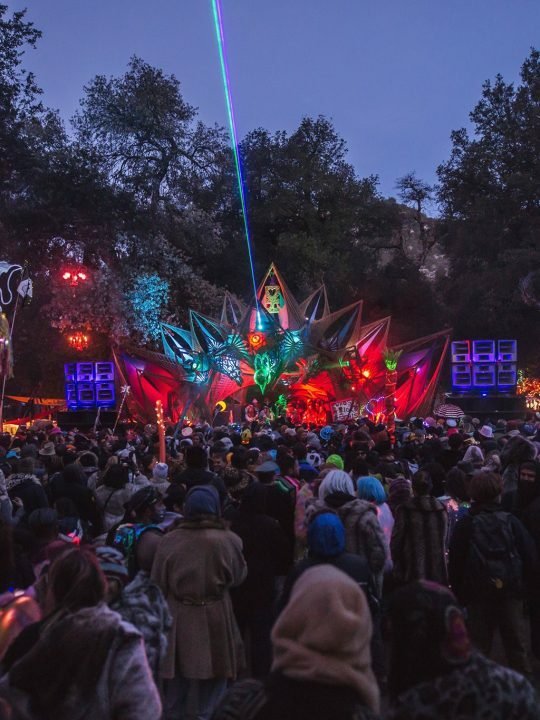 I began with Tycho, another yearly playa tradition, whose music nourished and rejuvenated my soul, as it always does. I soaked in the world opening up to daylight around me while I watched a few skydivers begin to come into view in the daytime sky and slowly drift their way down onto earth, welcomed by cheers and hugs. Moments like that are what make it all seem like a dream. After a nice long while, I decided to make my way over to Robot Heart for Bob Moses, just as another skydiver began to touchdown on the playa. After another couple of hours singing and dancing along to some of my favorite tracks, I decided it was time for a little nap before Thursday’s activities began. Thursday, after about 3 hours of sleep, I woke up, got ready, and headed straight out into the day, thriving on the very little sleep I got. Daytime included more dancing at Distrikt and some exploring of neighboring camps (like Scarbutts, where you can trade getting sparked for a nice cup of coffee, or Wook’s Nest, which had veggie tacos, blueberries, and gum to gift back to the playa). Once night fell, I met up with my friends and we made our way to the Kazbah, then Pile Palace to watch Mikey Lion and Worthy tear it up. After that, we biked our way across the playa to see Carl Cox at the helm of Playground once again. Along the way, we stopped at one of my favorite art pieces called Firmament, which is a hanging net of LED bulbs that blink together to create breathtaking visuals that coincide with classical music playing on the speakers. As sunrise approached, I met up with some more friends back at camp and we made our way out to Robot Heart for Bedouin’s sunrise set. Along the way, my friend’s bike chain broke, and after stopping to fix it we realized she would have to walk it. So we decided we would walk with her. We could have been upset, cursed the bike and the chain that came with it, but instead we took it as an opportunity to soak in the beauty around us, enjoy the morning weather, and experience the playa on a slower pace than normal. After another magical sunrise, and another 3 hour power nap, I woke up feeling better than ever, surprisingly. Thanks to the heat though, we spent a most of Friday day at or near camp. Laughing, joking, bonding with friends at the campsite is one of the more subtle beauties of Burning Man. 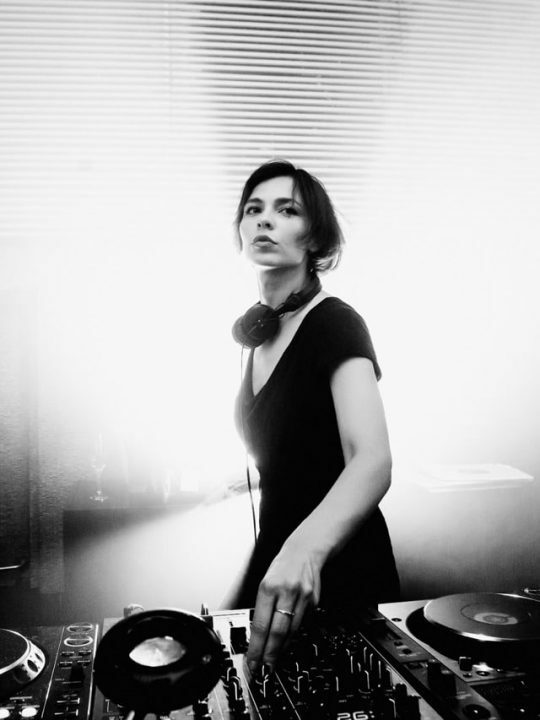 As dusk encroached on us, we made our way into the night, stopping first at Distrikt for their Desert Hearts takeover, then making our way to Music Savages, where we got to see Lee Foss, Rybo, and Jamie Jones go back-to-back. Feeling like we had spent enough time there, we biked across the playa and stopped at an old favorite camp of mine, Ooligan Alley, for some good old fashioned psytrance. Luckily, Playground was right next to Ooligan Alley, so we spent the night running back and forth between techno and psytrance. From Ooligan Alley to Carl Cox (again) then back to Ooligan Alley then to Brennen Grey, until at some point I found myself on the Playground stage during a surprise Skrillex set after his set at Camp Questionmark (which we missed). But it was fate, because right when I found myself on stage behind Skrillex, he dropped Halcyon & On & On, one of my all time favorite tracks. As the melodic song played and I gazed out at the blackness of the playa with speckles of LED peering through like stars on a cloudy night, I couldn’t help but smile and be appreciative of the beautiful moment unfolding right in front of me. Before we knew it, sunrise had found us once again. And this time, I was with a group of 10 of my close friends/camp mates, all of us on the same level. 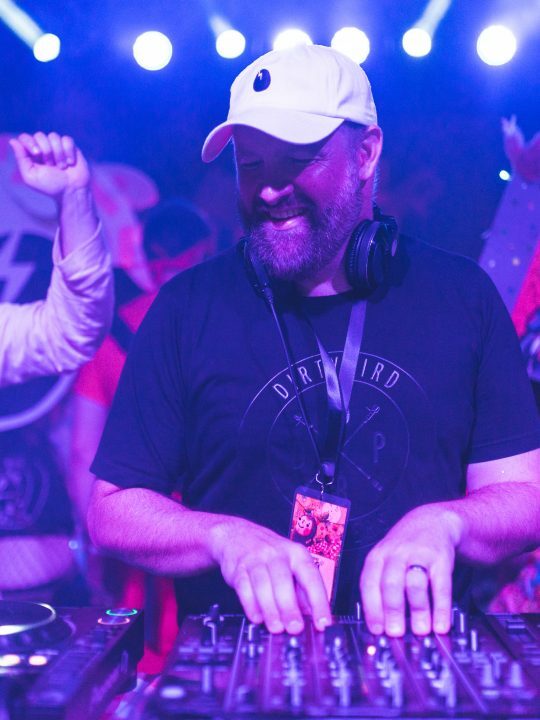 We biked back to camp to grab some warmer clothes, wine bags, & champagne (of course) for one of my favorite mornings at Burning Man – Lee Burridge’s sunrise set. Upon arriving at Robot Heart, we immediately ran into all of my friends that we said we would meet there, without even trying. Finding all of them that easily was the definition of being in the right place, at the right time. 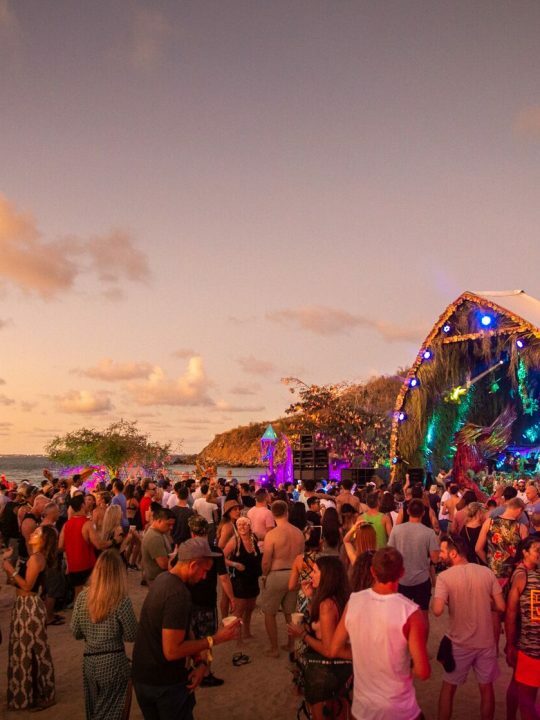 After about 3 hours of soaking in that magnificent sunrise, we headed out to Disco Knights at around 10 am for the ultimate after hours – a 6 hour set by none other than Jamie Jones. We arrived tired and weary, but ready to keep the party going. 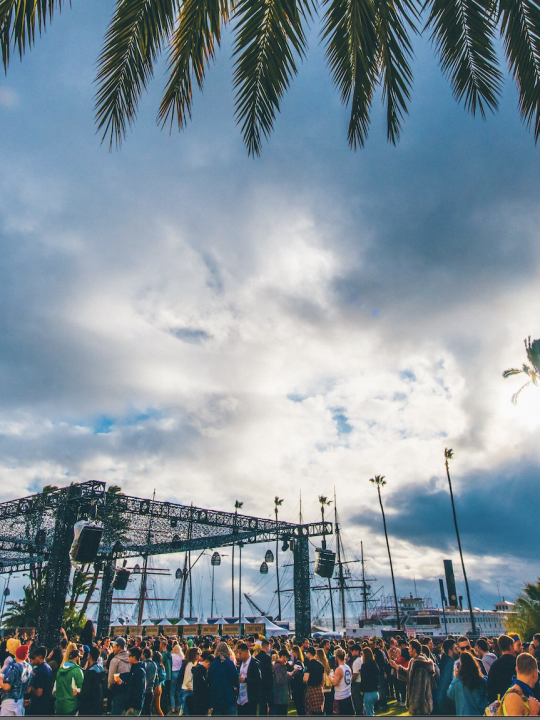 As the heat and sun beat us down, the music and energy of our fellow burners brought us up. That, and a huge bag of ice we used to cool each other off. At 2 pm, we decided we’d had enough afterhours for one day, and headed back to camp to try and get some sort of sleep before the big event that night. The rest of Saturday consisted of naps on naps, re-hydration, and re-nourishment. Then, at 8 pm, we made our way out to find our spot for the man burn. The man burn is a sacred part of Burning Man, and it symbolizes so many different things to so many different people. Some treat it as the beginning of a new year, some as their own spiritual rebirth, and some still use the flames of the man burn to ignite the creative spark they’ve always had inside themselves. 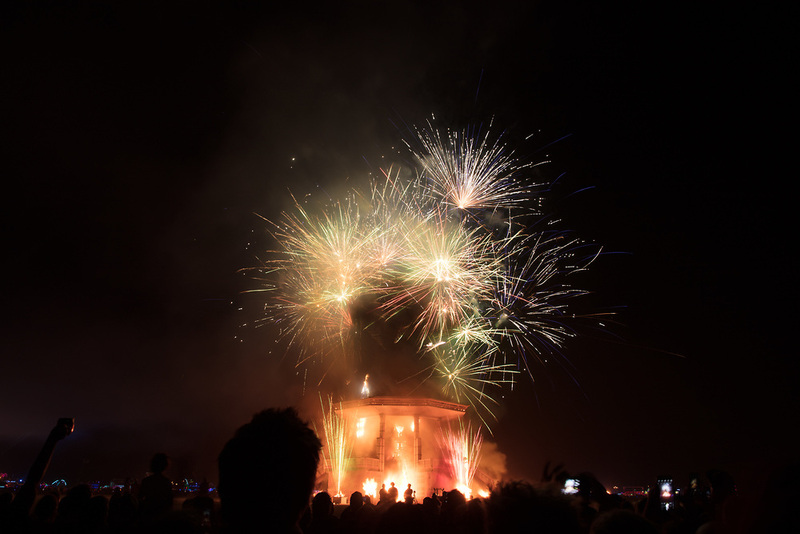 But every burner has one thing in common in their interpretation – the Man burn is something special. As we watched the flames engulf the Man and then the structure he was housed in, ultimately ending in the joyous collapse of both, an audible cheer was released from the crowd, signaling that the deed has been done, and the Man has been burned. As much as I wanted to be out all night off the energy of the burn, it was my responsibility to drive home the next morning. We wanted to stay for the temple burn, a much more solemn Burning Man ritual, but I could not because of work, so Sunday morning was when we decided to depart. Waking up and packing up our campsite that morning was emotional, to say the least. Leaving the playa every year is emotional for me, as I reminisce on the week I had while accepting the fact that my time on the playa is over, and it is time to return home. I shed more than a few tears as I finished loading the van, soaking in that “covered in playa dust” feeling for one last time. As I drove out of our spot on 8:30 & G, onto Gate Road, and off the Black Rock Desert, I couldn’t help but smile and laugh through the tears. Because while it may be over, the memories, lessons, and love I received from the week will hold me over well enough….until next year. I know about the tragic loss we had on burn night this year – a fellow burner who took his own life by running into the flames of the man burn Saturday night. I will not presume to know his state of mind, or what he was thinking/experiencing, and I will not pass judgment. It was traumatic to know this happened during the most celebratory night of the week, but I will not let this tragedy sour the spirit of Burning Man. Everyone involved did all they could to prevent it, short of losing their own lives in the process, and I commend every Black Rock Ranger, firefighter, EMT, and volunteer who was around to help with the situation. Burning Man can throw obstacles at you like you’ve never experienced before – test you in ways you never thought imaginable. The highest peaks are only mirrored by the lowest lows that you may feel during the week, because you’re tired, hungry, dirty, sore, all while trying your best to survive in some of the most inhospitable conditions possible. Make no mistake, Burning Man is not easy. It is not a vacation. Burning Man can strip you raw and make you face the most vulnerable version of yourself. And through that introspective process you truly find out more about yourself, re-affirming what you may already know, or bringing it to the light of day for the very first time. Something about Burning Man tunes you into the synchronicity of life, and helps you become a more vibrant and in-tune version of yourself. It’s this effect, this power that Burning Man has, that keeps me coming back year after year. Burning Man is more than just a music festival out in the desert. 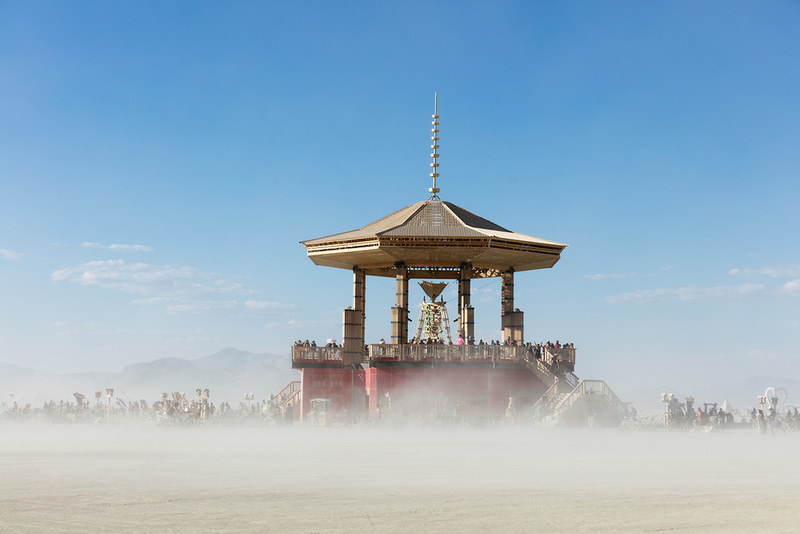 It is a social experiment, a self-correcting system whose citizens are also participants, each one responsible for helping create the magic that is Burning Man. Through this system, there are lessons to be learned, lessons that you can bring back with you into the default world. As the saying goes, you don’t get the burn you want, you get the burn you need. You could be the most prepared person on the playa, but it is Burning Man, and as with life, some things are bound to go wrong. It is how you handle these bumps in the road that will determine your burn. Another important lesson – you are exactly where you need to be. There are a million things happening at once at Burning Man, and it can sometimes feel like you are missing out on so much. But you need to remember that whatever you are experiencing is what you were meant to experience, and that you will always be missing something happening somewhere, since you cannot be everywhere at once. Coming to peace with this, and realizing that you can’t always do it all, helps with that overwhelmed feeling on and after the playa, and in the default world as well.